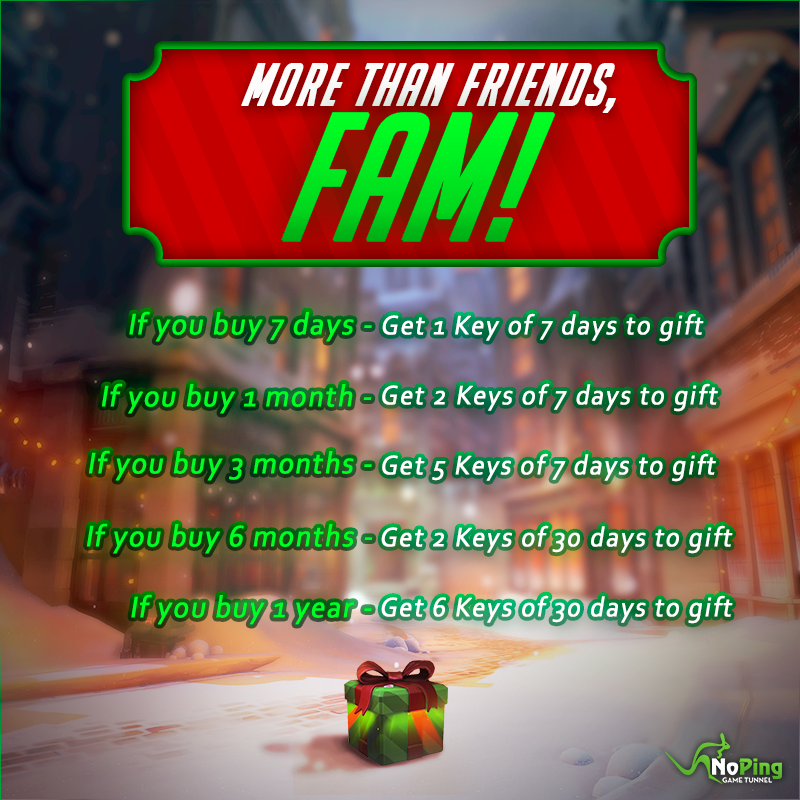 Gift your friends with Noping! Tired of your friends who are in the same match you get lag all the time! Then solve your problem and theirs, in buying the plans below you get keys to give and help your friends!